We work with people and ideas. If your idea is wrinkled it probably needs some starch. Communication design studio. 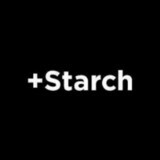 More Starch hasn’t been active on Medium yet. Check back later to see their stories, claps, and highlights.